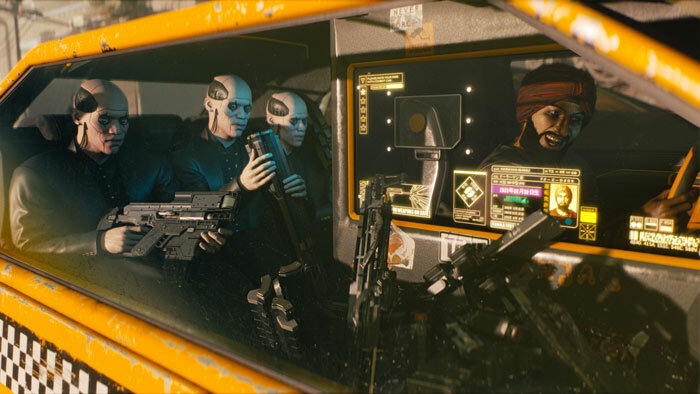 CD Projekt Red released its long awaited trailer for Cyberpunk 2077 yesterday evening. For maximum effect the trailer was shared at the end of Microsoft's Xbox conference. Right at the end of Microsoft's presentation the stage was 'hacked' and Cyberpunk was revealed in the nicely detailed video, embedded below. There is plenty to see in the video above, which takes a tour around Night City, California. We hear how it’s the worst place to live in America, however that doesn't stop people coming to follow their dream. Violence, overcrowding and poverty are among the greatest problems and the video narrator takes us through various parts of the city, rich and poor, and lets us see the work and pastimes that are popular in 2077. Of course there's lots of explosive action set among these neon-tinged Night City scenes too. 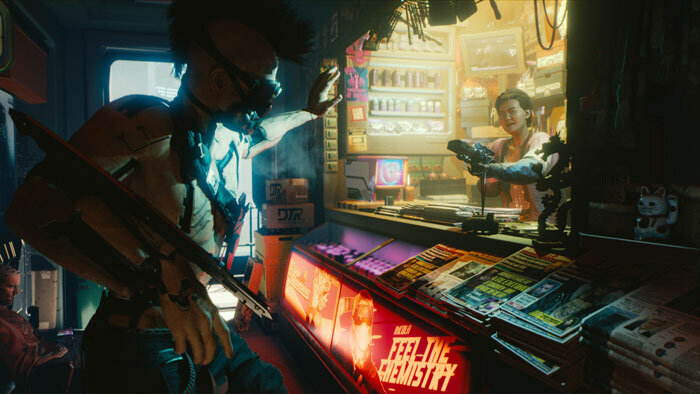 Some sites have looked through the trailer video frame by frame searching for insight into Cyberpunk 2077 which will have to keep us going until the next titbit released by CD Projekt Red. Probably the best extra info nugget was shared by Eurogamer, which typed out the single last frame of the video - a letter from the CDPR team. In short, this letter said Cyberpunk 2077 is a true single-player story adventure RPG. You'll be able to create your own character, and there will be no microtransactions. Furthermore, there will be free DLC and Expansions for game owners, just like with The Witcher 3. Within the PC release there will be no DRM. Sadly we don't have a release date, and are advised that patience is still required. Looks awesome - one of the most exciting things to come out of E3 imo :) Alongside the Prey DLC anyway. It’s been over 2077 days since we announced our plan to develop Cyberpunk 2077. We released a CGI trailer, gave some interviews and… went dark. Normal procedure for these kinds of things — you announce a game and then shut up, roll up your sleeves and get to work. We wanted to give you the Witcher 3 and both expansions first, which is why this period of staying silent was longer than we planned. Sorry for that. But to the point. Today is the day. If you’re seeing this, it means you saw the trailer. - our vision for Cyberpunk, an alternative version of the future where America is in pieces, megacorporations control all aspects of civilized life, and gangs rule the rest. And, while this world is full of adrenaline, don’t let the car chases and guns mislead you. 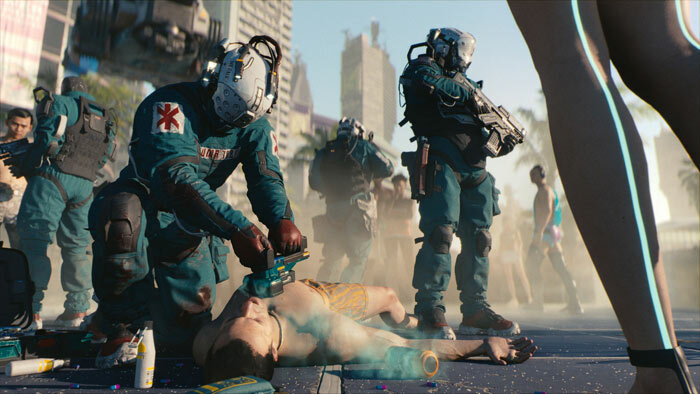 Cyberpunk 2077 is a true single player, story-driven RPG. You’ll be able to create your own character and… well, you’ll get to know the rest of what show at our booth at E3. Be on the lookout for the previews! When we told you we would only release the game when it’s ready, we meant it. We’re definitely much closer to a release date than we were back then ;) but it’s still not the time to confirm anything, so patience is still required. Quality is the only thing that drives us. It’s the beauty of being an independent studio and your own publisher. Seriously big, but… to be honest, we have no bloody clue at this point in time. Once we put it all together, we will openly tell you what you can expect. And we promise we’ll do this before we start talking about pre-orders or ask anything of you. Expect nothing less than you got with The Witcher 3. As for DRM, CP2077, will be 100% DRM-free on PC. In a single player role-playing game? Are you nuts? Once again, thank you for your patience. If you have a minute, do visit cyberpunk.net and share your opinion (about anything) with us. We read everything you posted we treat it very seriously. While it pleases me to finally see a new trailer, and progress being made, at the same time I can't help but think ‘Oh it’s just a GTA clone set in the future', which takes some of the excitement off it a bit. It looks fun and all that, but I hope it isn't a game where we're spending most of our time just driving around, which is what tends to happen in games like that. Having been burnt by restrictive DRM in the past I'm very cautious when it comes to pre-ordering games these days. Last game I pre-ordered was Elite Dangerous. However, reading the above message from CDPR and the fact that the game sounds tailor made for me, I'm going to throw caution to the wind. As far as I know CDProjektRed have always been against DRM, never been into microtransactions and give DLC out for free. Oh and it looks cool. Just hope it comes out sooner rather than later.